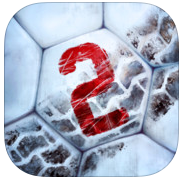 Soccer Rally 2 is the high end successor to Soccer Rally. It holds the same concept and gameplay of playing soccer with cars. The game combines the action of playing soccer while navigation a motorized vehicle. The game like its predecessor hosts a tournament while choosing the country of your choice or rather you compete head to head with multiplayer mode with your friends. While Soccer Rally 2 has more to offer from more enhanced player tournaments, same device multiplayer gaming, advanced customization and styling options of your car and a multiple variety of cars to choose from with each car having its own performance and specs. The gameplay is fairly simple and the variation of different tournaments and skill level make it a fun past time. This 3D game gives you a challenging gameplay when playing the tournament levels, nothing out of the ordinary, the ball and the cars are subject to the rules of physics. As much as this game is fun, it has some drawbacks. Multiple touch commands fail when more fingers interact with the screen during multiplayer mode. There aren’t any faults in the graphic display as the screen gives off a stunning review. The only problem faced by the users was the control of the car. The controls often feel heavy and respond late to touch which mostly makes the game frustrating to play. There are some minor graphic glitches and lag on older versions of phones. Broadly the game is exciting and interesting and it delivers a more versatile ground to expand your career in. All in all they should work on providing more cars and customization options to an already fun game.